Crochet News | Curly Girl's Crochet Etc. If you're like me you will be very excited by this article that ran today on ABC news in Chicago, IL. The title "Crochet's Comeback" caught my eye immediately. How exciting! I love crochet and have always thought that it is such a beautiful art, although I must admit, I cringed every time my grandma, bless her heart, would send me one of those ugly crocheted vests. I got them for birthdays, Christmas, and for no reason at all. I loved my grandma and my conscious, even as a child, wouldn't let me throw them in a drawer and not wear them. So I would wear them to school. I seemed to be the only girl in school lucky enough to have these "vests of many colors" and I got more than my fair share of teasing. 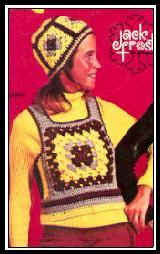 Let's face it, crochet's 'bad rap' is well deserved based on the crochet of the 60's and 70's. 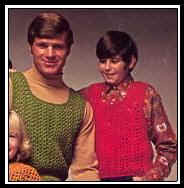 But crochet has become more modern and fashionable, trendy even. 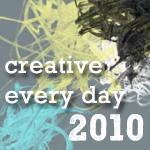 I've always thought if today's crochet got more exposure it would change people's minds and it would overcome it's fuddy duddy reputation. The article I read this morning caught my attention and I must say I was excited!! The article started out by saying that when you think of crochet, you probably picture your grandmother's baby blankets, or those (ah-hemm) multi colored vests worn by college girls in the 70's. It went on say, "but crochet has been updated and it's making a comeback". Hurray!! It's about time, I thought. According to the article, some of the crochet accessories that will be popular this fall are Nordstrom crochet tights, sweaters and tunics in purple, grey and turquoise, and looped scarves. 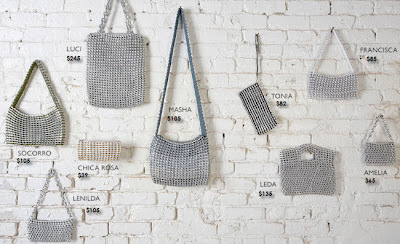 Also popular this fall, handmade crocheted hand bags made with recycled pop tops such as these from CasaBrasilonline.com. The recent crochet jewelry trend is expected to continue as well. You can get more details and read the full article here. In addition to making some of these items for my Christmas Craft Boutique, I'll be adding some of these popular fall fashion accessories to my Christmas crochet gift list! On a side note, my trip was fantastic, but I'm so glad to be home. I'll be posting pics soon! 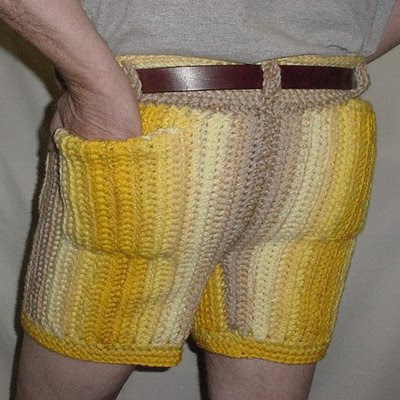 the crochet shorts are so cool. My Crochet "Favrielle" Doll Makes Her Debut! Success! I've Completed My First Original Design!